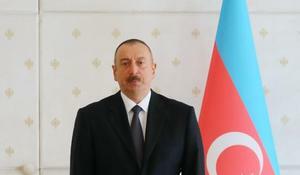 Murder of little Zahra and her grandmother demonstrates Armenian fascism and Armenia received a response for this military crime, said Azerbaijan’s President Ilham Aliyev. 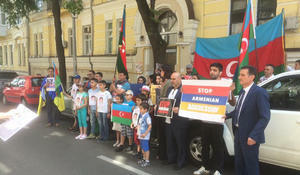 A week has passed since the murder of two Azerbaijani civilians – a woman and her granddaughter – by Armenian militaries and the aggressor country has not been duly punished yet. 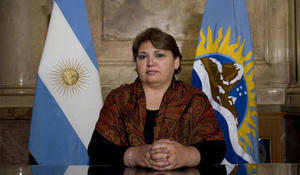 Member of the Argentine Senate Maria Ester Labado condemned the Armenian provocation against Azerbaijan, as a result of which Azerbaijani civilians were killed. 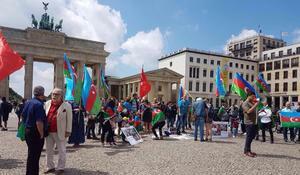 Azerbaijanis living all over the world continue to support their homeland in bringing the truth about the Nagorno-Karabakh conflict and Armenian aggression to the world. 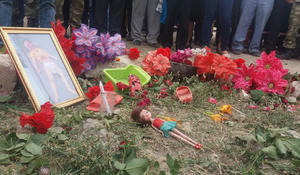 It has been a week since the abominable murder of an Azerbaijani toddler Zahra and her grandmother, who were living peacefully in their village Alkhanli in Azerbaijani Fuzuli region, but were killed on July 4 by Armenian armed forces. 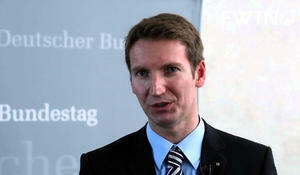 German MP Patrick Sensburg in his response to an enquiry by the Berlin office of The European Azerbaijan Society (TEAS) regarding the Armenian shelling of the Alkhanly village of Azerbaijan’s Fuzuli district said that civilian population mustn’t be attacked. 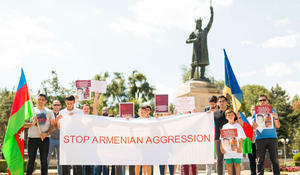 Armenia has been systematically and deliberately targeting Azerbaijani civilian population, residing in the densely populated areas adjacent to the frontline, in a bid to preserve the status quo in Nagorno-Karabakh. 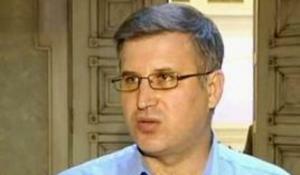 The OSCE Minsk Group co-chairs do not exert due pressure on Armenia, Andrey Epifantsev, Russian political analyst and expert on the Caucasus region, told Trend July 8. 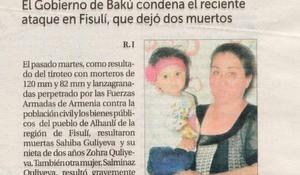 Spanish newspaper La Razon published an article about the Armenian provocation, as a result of which civilians were killed in the Alkhanli village of Azerbaijan’s Fuzuli district. 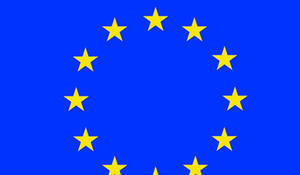 Armenia’s attack on Azerbaijani civilians is against the UN and European Parliament resolutions, Member of the European Parliament Ramona Nicole Manescu told Trend July 8.